West Coast Tour Leg kicks off Wednesday Apr 24 in Downey CA at Anarchy Library! Such a badass concert! Can't wait for them to come back to corpus! 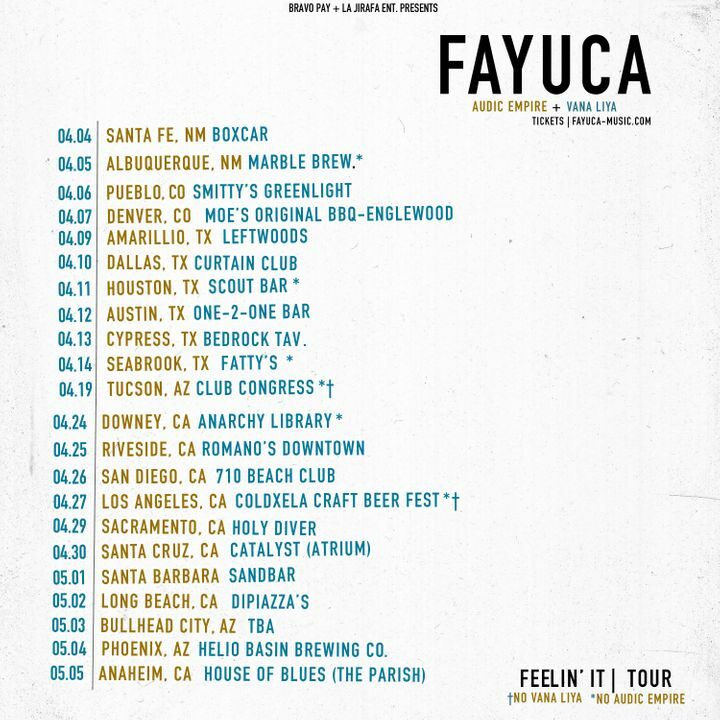 Great show as always Fayuca brings it!